Recognizing the linkage between heart attack, stroke, and diabetes, the CardioChek® Plus analyzer provides rapid on-site lipid panel plus glucose screening to help identify at-risk individuals. The capability to deliver both results in as little as 90 seconds enables healthcare professionals to improve their throughput, which is particularly important in today?s health promotion/screening environment. 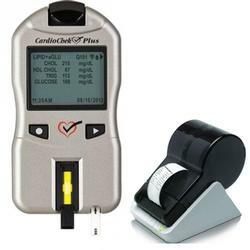 CardioChek® PA Plus Analyzer... Faster. Easier. Smarter...It All Adds Up. The ease-of-use, test-to-result speed, and ability to run multiple tests simultaneously make the CardioChek Plus system the best choice available for many healthcare professionals. The system simply has no competition when it comes to delivering operational efficiency,? explains Huffstodt. ?It provides the screening information needed to help improve wellness and ultimately save lives. 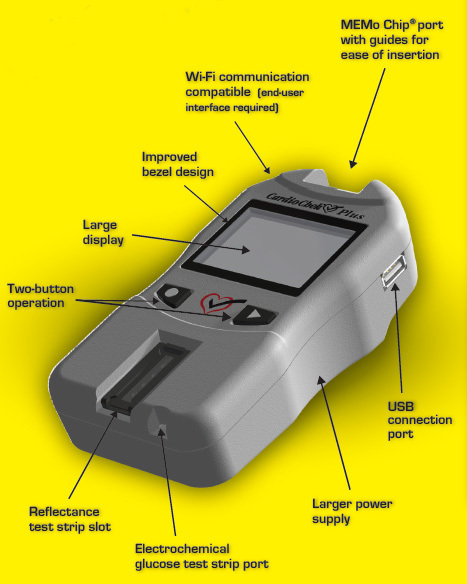 The CardioChek Plus system builds upon the highly successful CardioChek PA platform by adding an electrochemical glucose test, Wi-Fi capabilities, and additional ratios. The electrochemical glucose capability provides a faster result than reflectance testing and enables total cholesterol, HDL cholesterol, triglycerides, calculated LDL cholesterol, total cholesterol/HDL ratio, LDL/HDL ratio, non-HDL, and glucose results to be delivered simultaneously. With a test-to-result speed of just 2 minutes, the CardioChek Plus system delivers this critical information more rapidly than other analyzers and all direct test results are displayed on one screen. The CardioChek Plus analyzer also performs all single and multiple analyte tests currently available for other CardioChek systems. In addition, the device offers a larger, high-resolution screen, simple two-button operation, and there is no refrigeration required for test strips. Simultaneous testing of lipid profile and glucose using Lipid Panel test strips and eGLU? electrochemical glucose test strips. Wi-Fi communication compatible* *End-user interface required. Measures total cholesterol, HDL cholesterol, triglycerides, and glucose. Also calculates LDL, TC/HDL ratio, LDL/HDL ratio, and non-HDL cholesterol. Compatible with all existing PTS Panels® test strips. Measures total cholesterol, HDL and triglycerides. Calculates LDL cholesterol and TC/HDL ratio. How is a blood sample collected? How much blood is needed for each test strip? How do you change the settings for the CardioChek PA POC instrument? What if the test results are in decimals or appear to be higher or lower than expected? What if the CardioChek PA POC instrument reads CHECK STRIP FAILED? What if the CardioChek PA POC instrument reads "< or >" or another unexpected result occurs? What if the CardioChek PA POC instrument reads LOT EXPIRED? 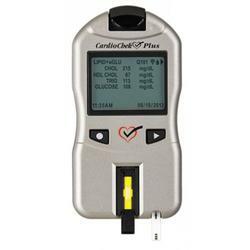 What if the CardioChek PA POC instrument will not recognize the MEMo Chip? How should the MEMo Chip® be inserted? What should be done if the Control Solution received does not correlate to the values for the lot of test strips received? 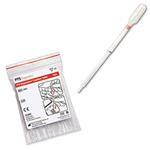 Use capillary tubes or collectors to collect fingerstick whole blood. 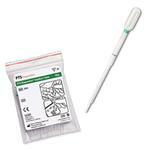 Venous whole blood samples can be collected in EDTA tubes (lavender tops) or heparin tubes (green tops). Single chemistry tests (Cholesterol, HDL, LDL, Triglycerides, Glucose, and Ketone), require 15 µL of whole blood. Lipid Panel tests require 35-40 µL of whole blood. Chol+Glu test panels require 25-30 µL of whole blood. Creatinine tests require 20 µL of whole blood. The CardioChek PA POC instrument automatically calculates LDL values when using Lipid Panel Test Strips or the Direct LDL test strip. To change the settings on a Cardiochek PA or CardioChek analyzer, go to the USER SET prompt and press the "Enter" button. Follow the prompts. Press the "Enter" button until RUN TEST is displayed. Press the "Next" button until USER SET displays. Press the "Enter" button once and then press the "Next" button until UNITS displays. Press the "Enter" button to view units (either US or INTL). Press the "Enter" button to accept current setting or the "Next" button followed by the "Enter" button to change the units. Inspect the optical glass in the analyzer where the test strip is inserted. Is it clean, dry and free from fingerprints? If not, clean with alcohol wipe and dry completely with gauze or lint-free cloth or tissue. Is the check strip damaged or dirty? If so, clean with soap & water or alcohol wipe, or replace. Has the strip been inserted right side up along the guides? Has the meter been dropped or stored in extreme conditions? Is the analyzer being operated inside, away from direct sun or lamp light? Results are above or below measuring range. High temperatures affect the strips. Has the vial of strips been stored in extreme conditions? Is the comparative laboratory method the same as the CardioChek method? Is an adequate sample size used? Too much or too little blood may give an inaccurate result. Check your package insert for the correct sample size. 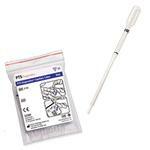 (Most single tests require 15 µL; multiple test panels require 25 µL - 40 µL.) 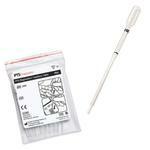 A capillary blood collector, capillary tube, or pipet must be used to ensure accurate dosing. 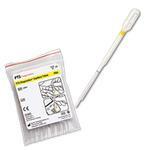 Did you apply blood to the test strip with the test strip inserted in the analyzer? If not, the analyzer may not produce correct results. Does the check strip pass? Has the optical glass in the analyzer (where the strip is inserted) been cleaned properly? What is the expiration date on the vial of strips? Press the "Enter" button until you see the RUN TEST display. Press the "Enter" button once and then press the "Next" button until SET DATE displays. Press the "Enter" button three times to display MONTH, DAY and YEAR. What if the CardioChek PA POC instrument will not recognize the MEMo Chip®? How should the MEMo Chip be inserted? Is the MEMo Chip installed properly? The notched side of the MEMo Chip faces up. Was the chip inserted before the analyzer was turned on? If so, press the "Enter" button twice so the analyzer can recognize that the MEMo Chip has been inserted. What should be done if the Control Solution received does not correlate to the value for the lot of test strips received?